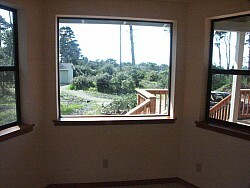 This home was a modest project designed for re-sale by the owner. 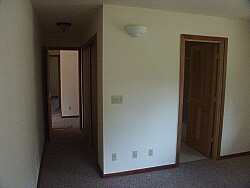 The market was right for it to sell, but the owner decided to keep it as a rental. 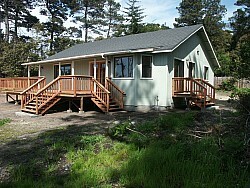 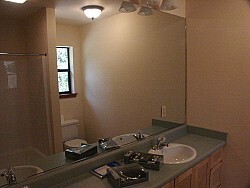 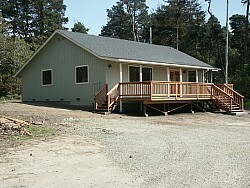 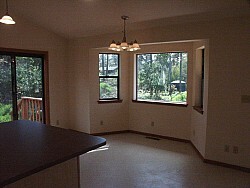 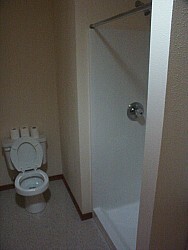 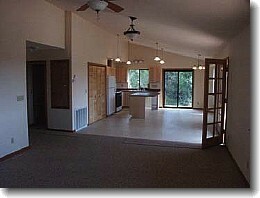 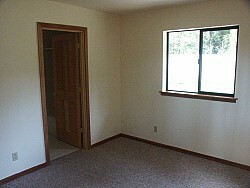 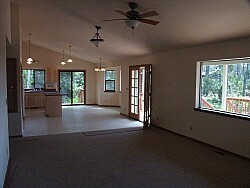 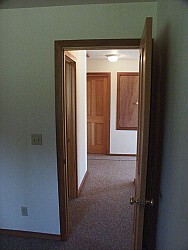 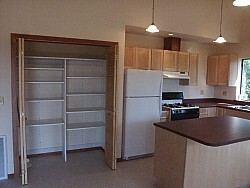 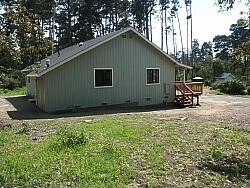 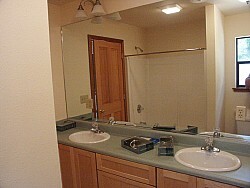 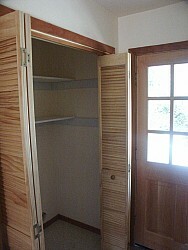 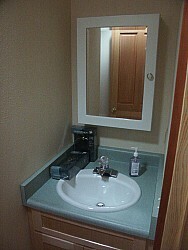 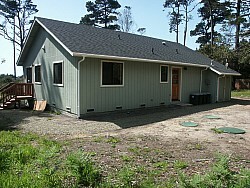 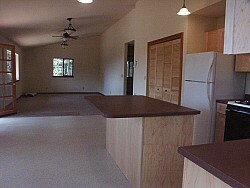 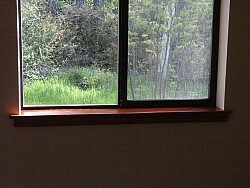 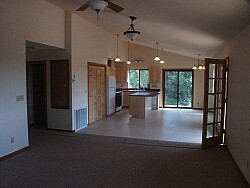 It is a small two bedroom, two bath home with vaulted ceilings to add an open feeling to the living room / kitchen area. 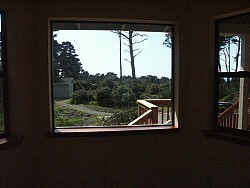 I have a fondness for trimming doors and windows in redwood, so we utilized it throughout this structure. 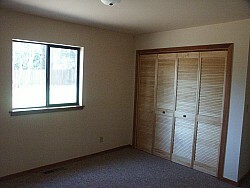 This is a nice, affordable rental in a area where rental housing is at a premium. 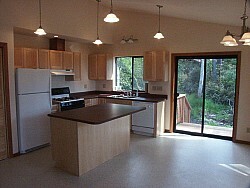 After we finished this project, the owner retained us to build a garage / studio apartment on his personal residence. 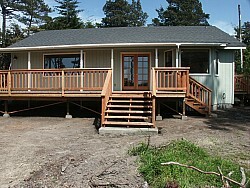 Repeat business has been a big part of my twenty five years of building on the Coast.